God does not lie, or change his mind. See, I have had orders to give blessing: and he has given a blessing which I have no power to take away. 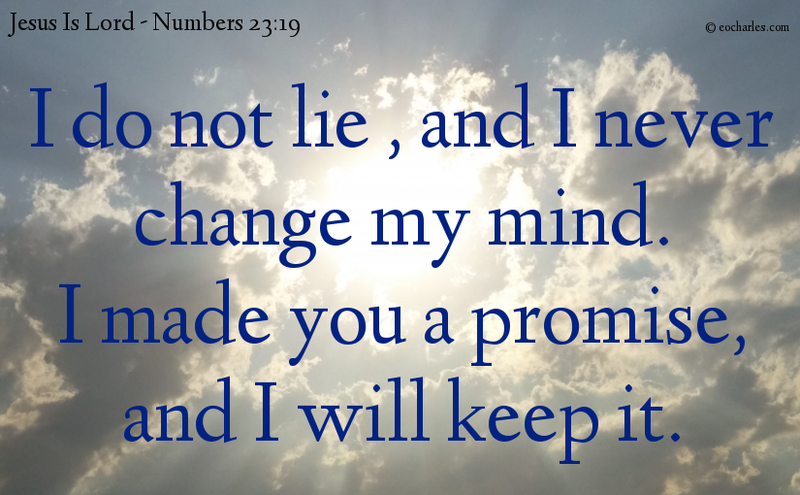 God does not lie or change his mind. If he made you a promise, he will keep it. He blesses you, because he loves you. Previous Previous post: What I Teach Is Easy To Understand, What I Give You To Carry Is Light. Next Next post: You belong to God, not to men.